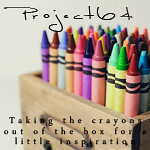 Time for another challenge at Project 64: Out of the Box. Each week a random crayon is chosen from a 64 count box of Crayola Crayons. That color is used as inspiration for the week, the challenge is to find and photograph the weekly color in the world around us. This week the color is scarlet. To me, scarlet is a bright red but the Crayola crayon is more of a orangy-coral red. 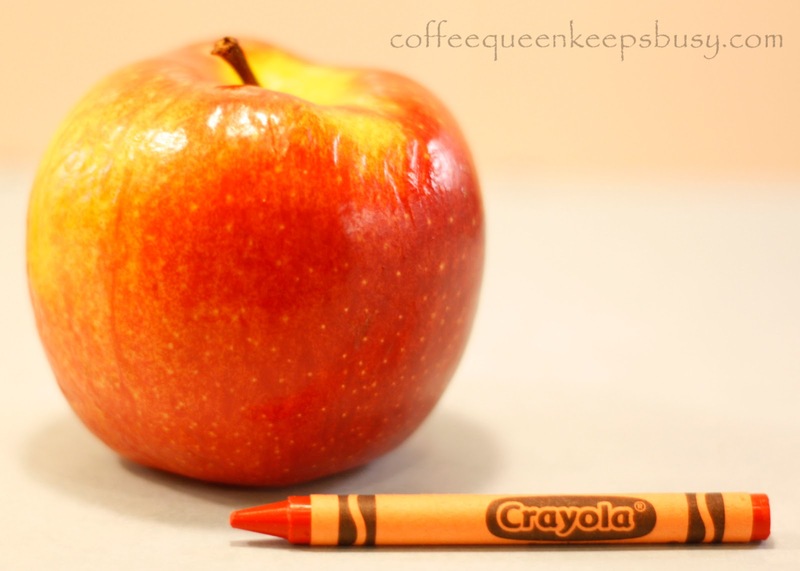 I had a hard time capturing this color....until I put my crayon down next to the fruit basket and noticed that this apple matched it perfectly.